Our variety of accommodation styles offer different amenities based upon the needs of your group. Our event planners will help you decide on the best fit for your stay, depending upon the time of year and the size and needs of your group. Each of our 14 private Motel rooms features two full sized beds, a private bathroom and a fantastic view of the sunset over the mountains. 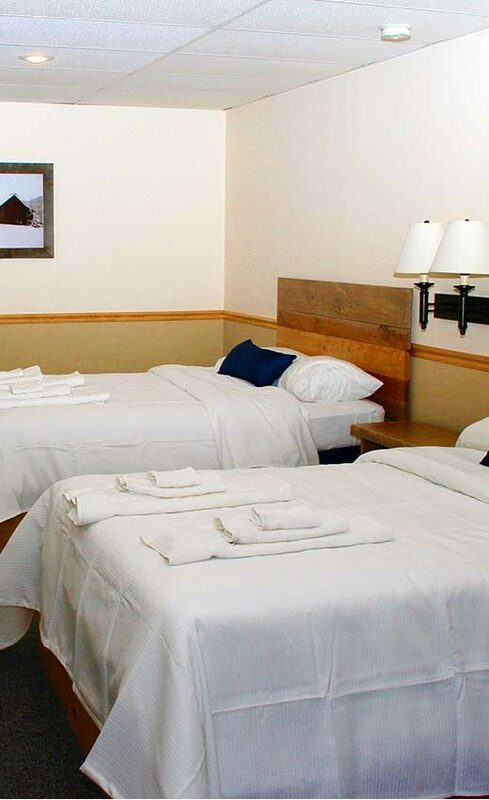 Our motel rooms allow for 14 guests single occupancy, or 28 guests double occupancy. 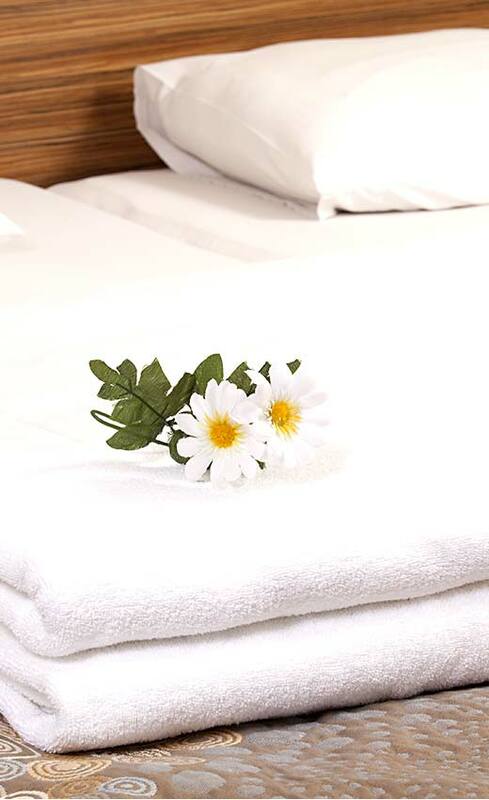 A twin bed may be added to motel rooms if necessary to allow for extra sleeping space. 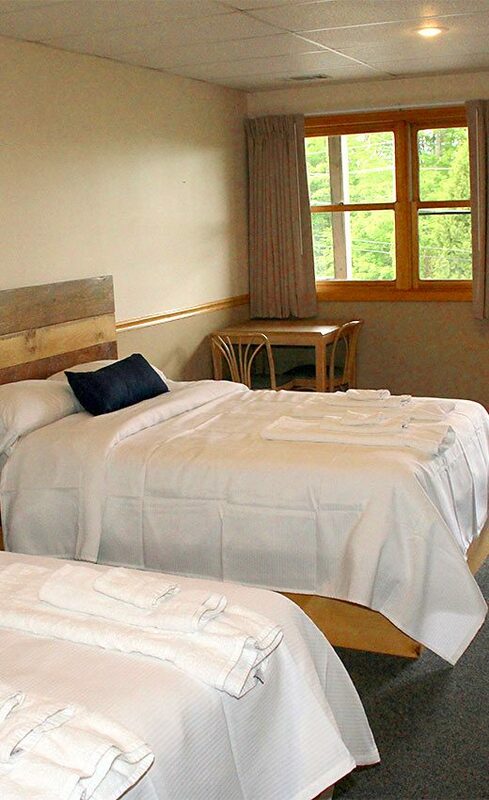 The inn rooms provide semi-private accommodations perfect for retreat participants sharing a room. Most inn rooms sleep three guests in three single beds with shared bathrooms adjacent. 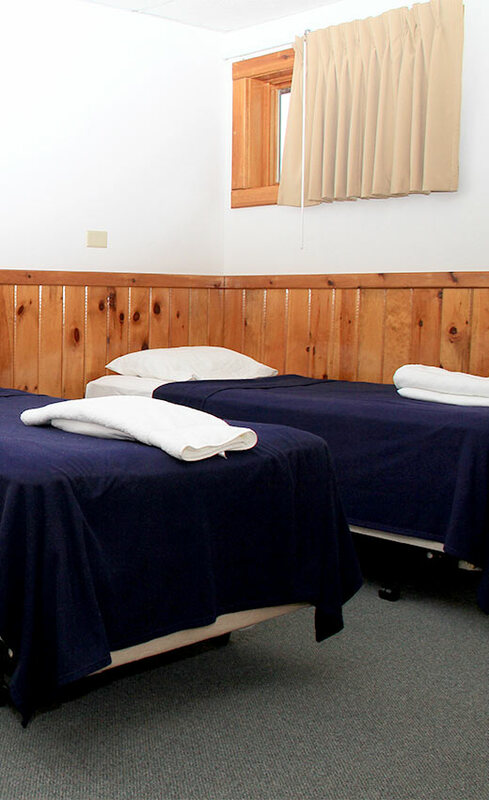 Several inn rooms have the ability to sleep up to six guests. With a maximum occupancy of 43 guests in single beds, the inn is an excellent choice for groups that would like to combine privacy with community living. Rustically styled with hardwood floors and sunny porches that overlook our playing fields, our lodges provide your group with all of the necessities for a comfortable and relaxing visit. 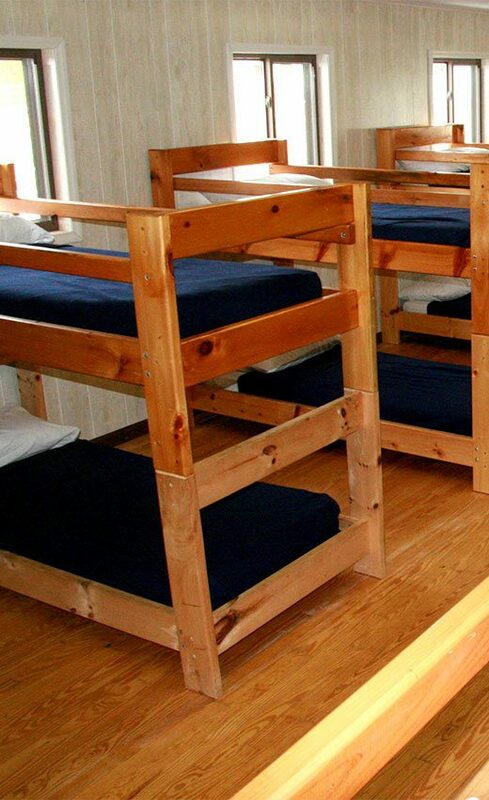 Our lodges include rooms that sleep between 10 to 18 people in bunk beds. Rooms have shared bathrooms and showers and are perfect for large groups and friends to share. To accommodate larger groups, we are pleased to offer the use of our summer cabins. Available May, June, and mid-August thru September. 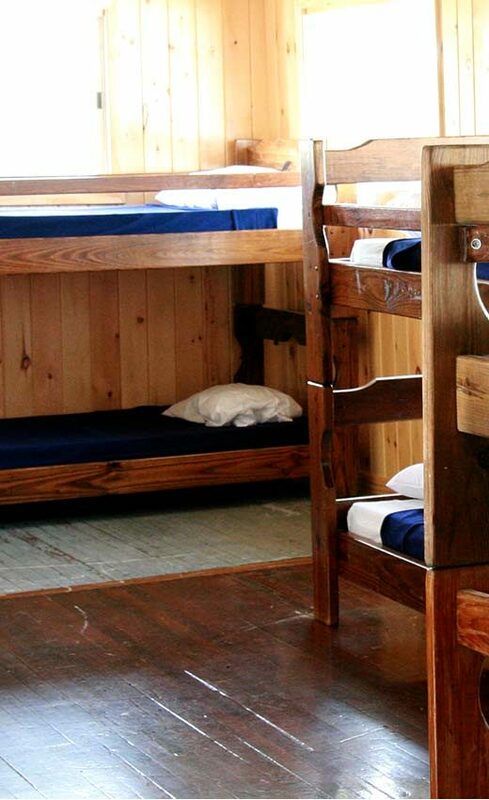 These aren’t the leaky, drafty bunks you may remember from your camp days. Each cabin is outfitted with comfortable, wooden bunk beds and complete shower facilities. They also feature beautiful views of the property, and sleeps between 15 and 40 guests.